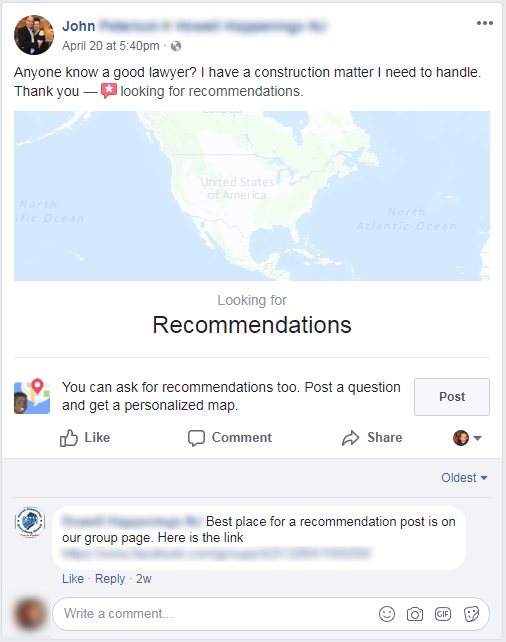 Potential clients assume you’re knowledgeable. 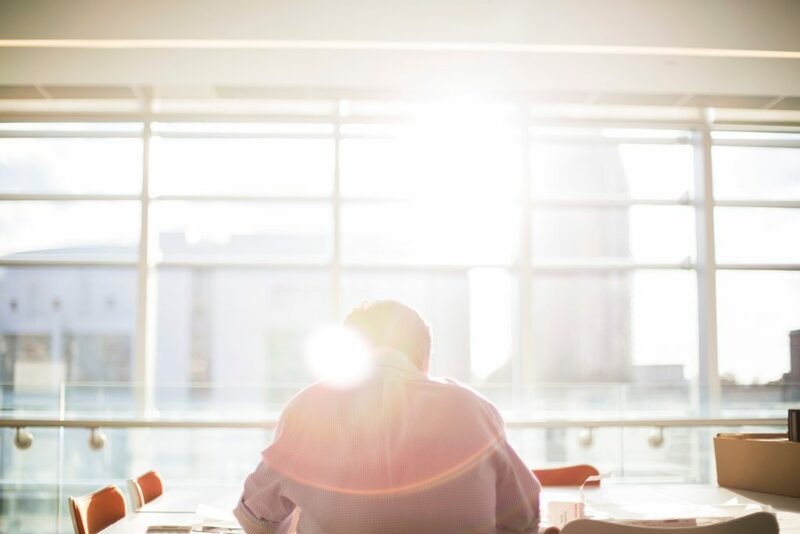 The majority of clients believe you’re a highly competent legal professional. And they’re right. You made it through law school and passed the bar. 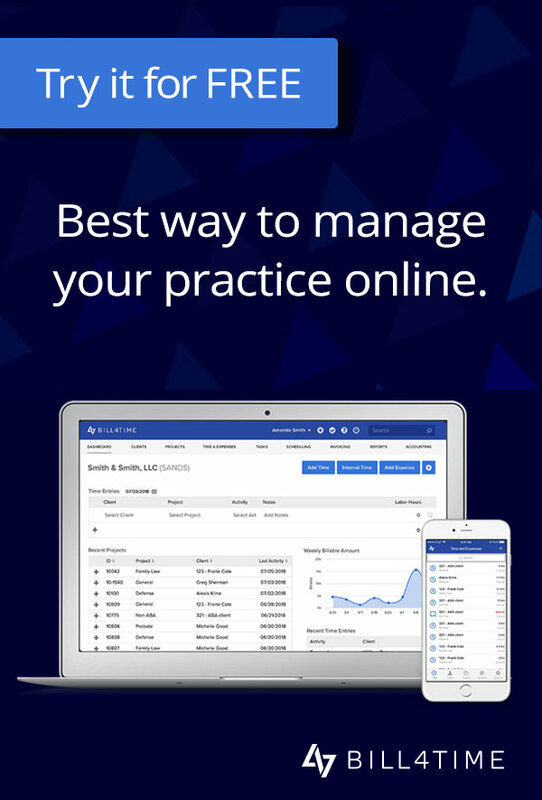 You’re running your practice as a successful attorney. You’re winning. Potential clients use a very different set of metrics to evaluate your practice. Are attorneys focused on the wrong metrics? These metrics tend to be one-sided. Clients want meaningful relationships that deliver long-term value. What they often receive instead are temporary relationships that produce short-term gains. Not a fair trade, is it? The phrase “long-term value” seems pretty subjective. It’s not entirely clear what that means specifically for each client – which is exactly the point. Law firms often focus on internal metrics like profit per partner (PPP) and revenue per lawyer (RPL). These metrics are helpful, but they’re internally focused. If you’re looking to verify associate/partner performance, this works. But it doesn’t really tell you much about client evaluation. When it comes to practice evaluation, clients use a completely different set of metrics. These metrics seem to be simplistic and they are. Which makes sense when you realize most clients lack the expertise they need to properly evaluate your firm. Notice anything strange about these performance indicators? These metrics show potential clients who you are on the inside. They provide clients with an answer to a difficult-to-ask question. This is fairly straightforward. Clients want someone they trust to vouch for someone they don’t know. Referrals are a form of reputed credibility. A third-party validator that gives potential clients the information they need to take a risk. Giving satisfied clients a referral kit. Referral kits are printed, offline educational booklets. These educational pieces (a.) outline a client’s specific problem in one area (e.g. divorce, bankruptcy, intellectual property, etc.) (b.) direct potential clients to a specific and very helpful solution (online or offline) to a single problem. Tool: Divorce, alimony or child support calculator. 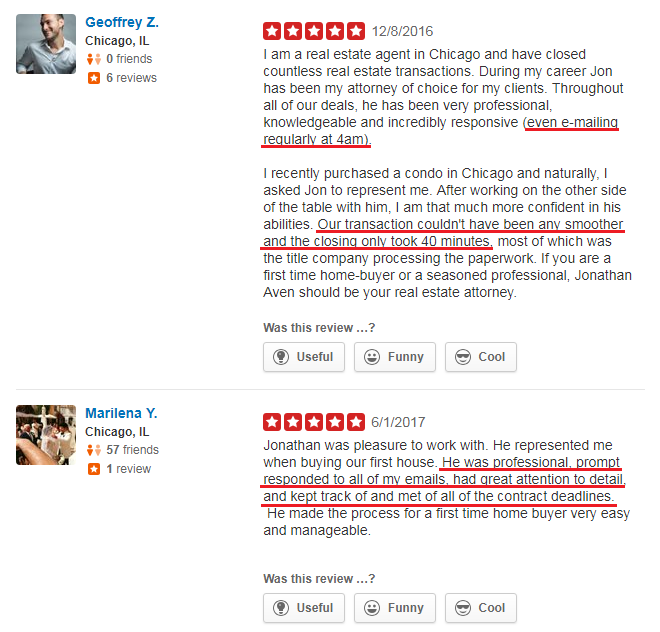 Reviews give potential clients the insider information they need to make a good decision. Take this review for example. These attorneys stole money from their clients repeatedly. They made a convincing sales pitch and got them to pay a hefty retainer. Then they vanished when it was time to make good on their promises. These are the insider details clients look for. Potential clients glean a significant amount of insider information from online reviews. 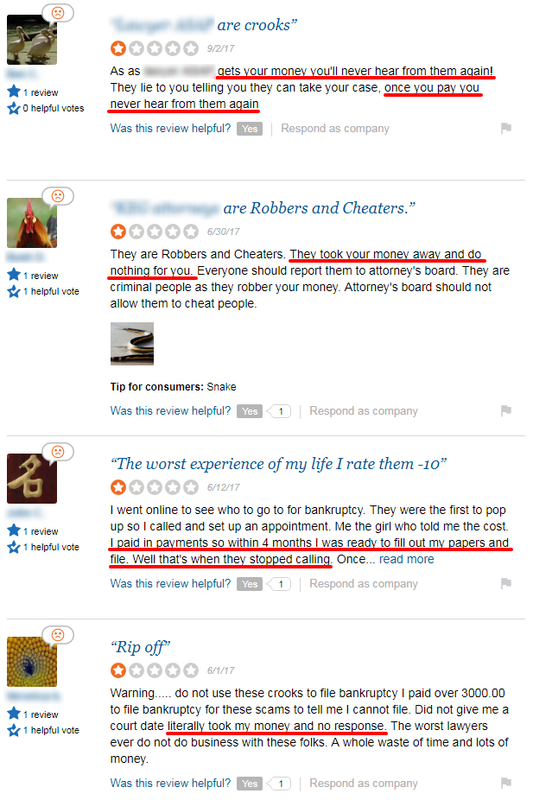 The lack of reviews is often times, just as damaging as an abundance of negative reviews. Working to consistently attract more favorable reviews. Ask clients for feedback. Share reviews from key influencers. Promote awards (e.g. customer service awards) that harmonize with customer evaluation metrics. Use review management tools to systematize and increase your reputed credibility. This gives potential clients an indication of the results they can expect from you in the future. Are you attentive and doting or cold and aloof? Response times are important. They give clients a rough idea of the kind of customer service they can expect to receive. It’s important to strike the right balance here. Respond instantly and you appear to be needy. Take too long and you come off as aloof and disinterested. A good rule of thumb is one hour to one business day. The shorter your response time the higher your close ratio. The more personal and intimate your response, the better your results. A phone call from your office is more effective than an automated email reply. But which response method should you use? Follow your potential client’s lead. If they respond via email, they’ll probably be more comfortable with an email reply. Use the same channel your potential clients used to reach out to you unless it’s stated otherwise. Focus more on your client’s problems and less on discussions about your retainer. To their initial requests. How do you handle potential clients? Do you take them seriously? Do you focus on your client’s case initially or do you jump right to your fee schedule and rate sheets? Creating clear customer service systems and procedures. Outline your firm’s policies on a variety of sales and customer service details. When do you respond to new potential clients (e.g. one hour, 12 hours, 24 hours, etc.)? Which methods are approved for responding to potential clients (e.g. text, email, phone)? Who is your firm’s designated first responder? What is the goal of your designated first responder (e.g. provide helpful first steps, set a meeting date and time)? The more responsive your firm is, the better your conversion rate will be. Unsophisticated clients treat initial consultations as a way to extract free work. Sophisticated clients see an initial consultation for what it is. A firm assessment tool. An initial consultation gives everyone the opportunity to assess the relationship. Clients get the chance to evaluate your business. They get a feel for your strategy and tactics. Your attentiveness and customer service skills. And the overall approach your firm will take. Giving potential clients something tangible to take home. The vast majority of initial consultations are missed opportunities. Most attorneys provide helpful information and education to potential clients. The results usually stop there. Send clients away with a relevant (and free) tool, resource or education piece that provides them with more value. Use initial consultations as a value transfer mechanism. The more value you transfer to your potential clients, the better your conversion rate / win ratios will be. At its core, customer service is about psychological safety. Safety includes care, guidance and protection. Can your clients come to you with bad news? Can they tell you that you’ve screwed up and trust that you’ll make things right? Are you the kind of firm that will thank them for holding you accountable or punish them for speaking the truth? Will you continue to give them the care, guidance and protection they need when times are tough? These are the questions potential clients want you to answer. Sharing top-of-funnel evidence demonstrating the kind of care, guidance and protection I’ve just mentioned. You can do this with reviews, testimonials and case studies. Sharing middle-of-funnel evidence. Promises tied to specific consequences. Risk reversals, and customer service-centric awards. Sharing bottom-of-funnel evidence via behavioral and outcome markers (e.g. all calls returned within X hour/day, kind and appropriate behavior from your point of contact). Provide potential clients with a consistent stream of evidence as they move through your sales and marketing funnel. It’s the easiest and most difficult component to improve. If you want to be seen more the solution is simple. Place your firm in front of more potential clients. More visibility, more leads and sales. It works and that’s why it becomes difficult. Small firms may find it difficult to balance their workload. It difficult to serve current clients while simultaneously working to attract new ones. Creating a simplified content and marketing plan. Create content that ties directly to the issues your potential clients face. Focus your time and attention on solving their biggest problems. Act as if they’re already your clients. Begin the relationship by asking potential clients to accept the value you provide. Outline the problem, offer an introductory solution, then ask for the micro yes. Continue to ask for the micro yes. Then, when the time is right, ask for the macro yes. Ask your potential client to become a permanent client. When it’s handled well, the macro yes is viewed as yet another value exchange. A meaningful relationship that delivers consistent, long-term value. Your potential clients can’t help but say Yes. The credentialed, highly educated professional. Potential clients assume you’re knowledgeable, that your highly competent as a legal professional. But they can’t rely on expertise as a metric. It’s not because they’re unhelpful, it’s because these metrics are inaccessible to them. They assume authority and competence on your part, choosing instead to focus their attention on character and credibility. Most attorneys focus on the wrong metrics. That doesn’t have to be the case with you. You’re good at your job, your potential clients know it. Want to convert more of the potential clients evaluating your practice? Make character and credibility a key component in your marketing strategy. Prioritize the right metrics and you’ll find potential clients will consistently identify you as the winner.